Quoizel Lighting Duchess Collection 2-Tier chandelier employs nine 100-Watt medium socket A19-shaped incandescent lamps. It has a fixture power rating of 900-Watts and voltage rating of 120-Volts. 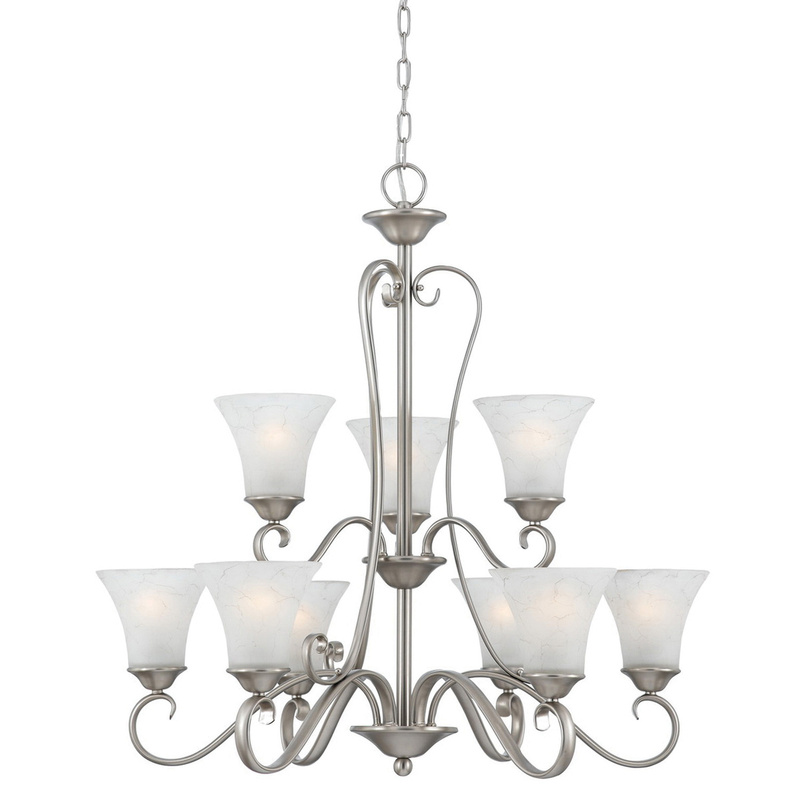 This transitional style chandelier features steel construction with antique nickel finish. It has a dimension of 31-Inch x 31-Inch x 31-Inch. The grey marble glass shade of this chandelier helps to bring an elegant look to the decor. This chandelier with 8-ft chain, supports sloped ceiling mounting and comes with 12-ft lead wire. It is provided with 6.5-Inch canopy. Chandelier is cUL listed.